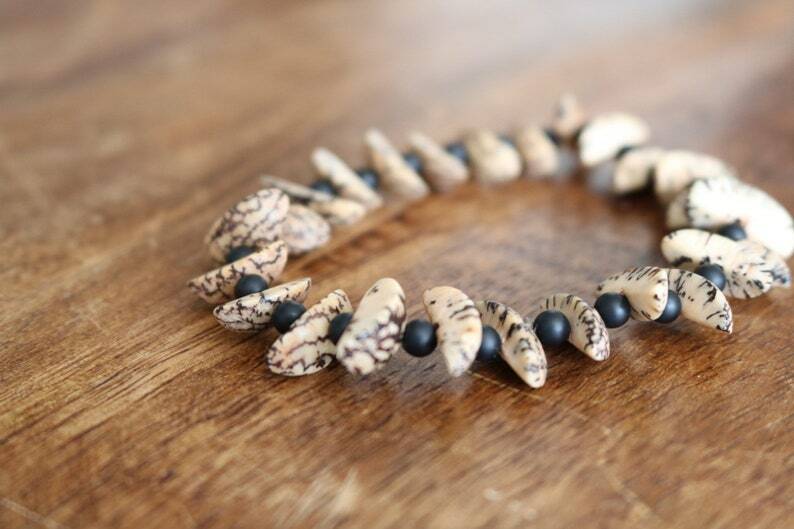 Pieces bracelet is a curated blend of wedge-cut lotus seed beads and matte onyx stone beads. The a-b pattern makes great contrast and is very appealing to the eye! What you’ll love: the natural components make for a rich look that plays well for tribal styles, but also pairs just as well with elegant looks. The bracelet has genuine pieces, but is lightweight and perfect for all day wear.